Over the last few months, the value of the Chinese yuan against the dollar has gradually been allowed to fall. In August 2015, the People’s Bank of China pushed the value of the dollar against the yuan, from 6.2 to around 6.37. In November 2015, one dollar was worth around 6.31 yuan. By the end of the year, one dollar was worth 6.48 yuan, with the yuan gradually depreciating against the dollar. In the new year, the yuan has depreciated further against the dollar and one dollar is now worth around 6.58 yuan. So what is happening here? It is first important to understand how the People’s Bank of China has over the years maintained the value of the yuan against the dollar. When Chinese exporters bring back dollars to China or when investors want to bring dollars into China, the Chinese central bank buys these dollars. They buy these dollars by selling yuan. This ensures that at any given point of time there is no scarcity of yuan and there are enough yuan in the market, in order to ensure that the value of the yuan is largely fixed against the dollar. Where does the People’s Bank get the yuan from? It can simply create them out of thin air, by printing them or creating them digitally. The situation has reversed in the recent past. Money is now leaving China. Hence, the total amount of dollars leaving China is now higher than the dollars entering it. And this has created a problem for the Chinese central bank. Between July and September 2015, the net capital outflows reached $221 billion. “[This] occurred for the sixth straight quarter and reached a new record of $221 billion,” wrote Jason Daw and Wei Yao of Societe Generale in a recent research note. The fact that more dollars are now leaving China than entering it, changes the entire situation. When investors and others, decide to take their money out of China, what do they do? They sell their yuan and buy dollars. This pushes up the demand for dollars. In a normal foreign exchange market this would mean that the dollar would appreciate against the yuan, and the yuan would depreciate against the dollar. But remember that the Chinese foreign exchange market is rigged. The People’s Bank of China likes to maintain a steady value of the yuan against the dollar. What does the Chinese central bank do when more dollars are leaving China? In order to ensure that there is no scarcity of dollars in the market, it buys yuan and sells dollars. This is exactly the opposite what it has been doing all these years, when more dollars where entering China than leaving it. The trouble is that China cannot create dollars out of thin air, only the Federal Reserve of the United States can do that. China does not have an endless supply of dollars. The foreign exchange reserves of China as of December 2015 stood at $3.33 trillion. In December 2015, the foreign exchange reserves fell by $107.9 billion. They had fallen by $87.2 billion in November. In fact, between December 2014 and December 2015, the Chinese foreign exchange reserves have fallen by a huge $557 billion, in the process of defending the value of the yuan against the dollar. While, China has the largest foreign exchange reserves in the world, it is worth asking what portion of these reserves are liquid? The Chinese central bank has invested these reserves in financial securities all over the world. As of October 2015, $1.25 trillion was invested in US government treasuries. Given this, China does not have an endless supply of dollars and cannot constantly keep defending the yuan against the dollar. This explains why it has gone slow in defending the yuan against the dollar, in the recent past, and allowed its currency to depreciate against the dollar. 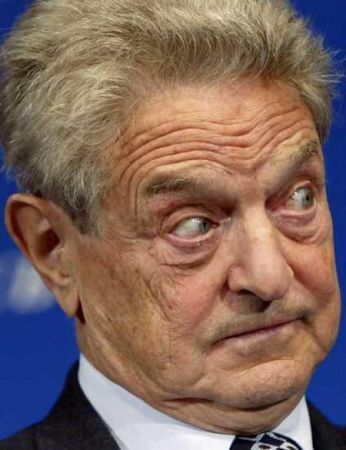 The question is why is all this worrying the world at large, Soros included? A weaker Chinese yuan will make Chinese exports more competitive. This will mean a headache for other export oriented economies like Japan, Taiwan, South Korea, Germany, and so on. They will also have to push the value of their currencies down against the dollar. Hence, the global currency war which has been on a for a while, will continue. Further, a weaker yuan might lead to China exporting further deflation (lower prices) all over the world. But what is more worrying is the fact that residents and non-residents are primarily the ones withdrawing their money out of China. The non-residents withdrew $82 billion during the period July to September 2015. The residents withdrew $67 billion, after having withdrawn $102 billion between March and June 2015. When any economy is in trouble it is the locals who start to withdraw money first. This is clearly happening in China. And that has got the world worried. Also, China is a major consumer of commodities and any economic slowdown in China, will lead to a fall in commodity demand. This isn’t good news for many commodity exporting countries in particular and global economic growth in general. Barack and Michelle Obama were supposed to be in Agra on January 27, 2015, visiting the Taj Mahal. Instead they will now be going to Saudi Arabia to pay respects to King Salman bin Abdulaziz, the recently crowned King of Saudi Arabia and the family of the late King Abdullah bin Abdulaziz, who died on January 23. Bloomberg reports that keeping with religious tradition, Abdullah was was quickly and quietly buried on the day he died. A newsreport in The Indian Express points out that the “Supreme Court had earlier directed all visitors to the Taj Mahal to disembark at the Shilpgram complex, 500 metres away, and board an electric vehicle to the entry gate.” This was deemed to be a security risk by the Secret Service that guards President Obama and hence, the visit was cancelled. This is how Saudi Arabia’s journey as an oil producer started. The United States was the world’s largest producer of oil at that point of time, but its obsession with the automobile had led to a swift decline in its domestic reserves. President Franklin D. Roosevelt realized that a regular supply of oil was very important for America’s well-being. Immediately after attending the Yalta conference in February 1945, Roosevelt travelled quietly to the USS Quincy, a ship anchored in the Red Sea. Here he met King Ibn Sa’ud of Saudi Arabia, the country which was by then home to the largest oil reserves in the world. Ian Carson and V.V. Vaitheeswaran point this out in their 2007 book, Zoom—The Global Race to Fuel the Car of the Future. Car production had come to a standstill in the United States during the course of the Second World War. Automobile factories became busy producing planes, tanks, and trucks for the War. Renewed demand was expected to come in after the end of the War. Hence, the country needed to secure another source for an assured supply of oil. So, in return for access to the Saudi Arabian oil reserves, King Ibn Sa’ud was promised full American military support to the ruling clan of Sa’ud. It is important to remember that the American security guarantee made by President Roosevelt was extended not to the people of Saudi Arabia nor to the government of Saudi Arabia but to the ruling clan of Al Sa’uds. Over the years, Saudi Arabia further returned the favour by ensuring that Organization of the Petroleum Exporting Countries (OPEC) continued to price oil in terms of dollars despite the fact that it was losing value against other currencies, especially in the 1970s. Attempts were made by other members of the OPEC to price oil in a basket of currencies, but Saudi Arabia did not agree to it. This ensured that oil continued to be the international reserve and trading currency. Most countries in the world did not produce oil and hence, needed dollars to buy oil. This meant that they had to sell their exports in dollars in order to earn the dollars to buy oil. If Saudi Arabia and OPEC had decided to abandon the dollar, it would have meant that the demand for the dollar would have come crashing down, as countries would no longer need dollars to pay for oil. Hence, oil will continue to be priced in dollars as long as Al Sa’uds continue to rule Saudi Arabia because they have the security guarantee from the United States. Further, Saudi Arabia remains a close ally of the United States despite the fact that the late Osama bin Laden was a Saudi by birth. Osama was the son of Mohammed bin Awad bin Laden and his tenth wife, Hamida al-Attas. The senior bin Laden was a construction magnate who was believed to have had close ties with the Saudi Royal family. Since 2008, a lot of shale oil has been discovered in the United States and the production of oil in the United States has gone up by four million barrels per day to nine millions barrels per day, with almost all of the increase coming from increased production of shale oil. This is only a million barrels per day lower than the daily oil production of Saudi Arabia. Jeremy Grantham of GMO goes into further detail in a newsletter titled The Beginning of the End of the Fossil Fuel Revolution (From Golden Goose to Cooked Goose: “The first two years of flow are basically all we get in racking…Because fracking reserves basically run off in two years and can be exploited very quickly indeed by the enterprising U.S. industry, such reserves could be viewed as much closer to oil storage reserves than a good, traditional field that flows for 30 to 60 years.” The process used to drill out shale oil is referred to as fracking. It is worth remembering that the United States consumes 25 percent of the world’s daily production of oil and half of its daily production of petrol, or what Americans call gasoline. The fact that it is using way too much oil becomes even more obvious given that it has only five percent of the world’s population. Given this, it still needs Saudi Arabia. Hence, the Obamas need to go to Saudi Arabia and offer their condolences on King Abdullah’s death as soon as possible. The Taj Mahal will have to wait. 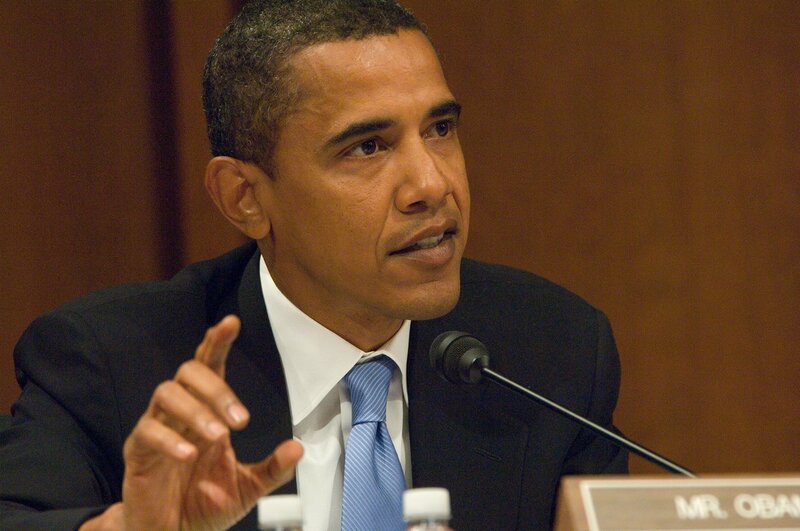 On May 31, 2014, the total outstanding debt of the United States government stood at $17.52 trillion. The debt outstanding has gone up by $7.5 trillion, since the start of the financial crisis in September 2008. On September 30, 2008, the total debt outstanding had stood at $10.02 trillion. In a normal situation as a country or an institution borrows more, the interest that investors demand tends to go up, as with more borrowing the chance of a default goes up. And given this increase in risk, a higher rate of interest needs to be offered to the investors. But what has happened in the United States is exactly the opposite. In September 2008, the average rate of interest that the United States government paid on its outstanding debt was 4.18%. In May 2014, this had fallen to 2.42%. When the financial crisis broke out money started flowing into the United States, instead of flowing out of it. This was ironical given that the United States was the epicentre of the crisis. A lot of this money was invested in treasury bonds. The United States government issues treasury bonds to finance its fiscal deficit. This trend has more or less continued since then. Money has continued to flow into treasury bonds, despite the fact that the outstanding debt of the United States has gone up at an astonishing pace. Between September 2008 and May 2014, the outstanding debt of the United States government went up by 75%. The huge demand for treasury bonds has ensured that the American government can get away by paying a lower rate of interest on the bonds than it had in the past. In fact, foreign countries have continued to invest massive amounts of money into treasury bonds, as can be seen from the table. 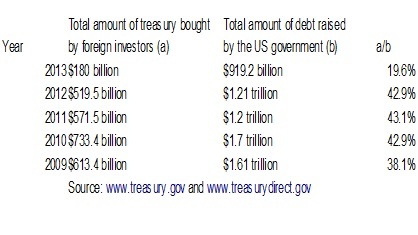 Between 2010 and 2012, the foreign countries bought around 43% of the debt issued by the United States government. In 2009, this number was slightly lower at 38.1%. Large parts of Europe are in a worse situation than the United States and bonds of only countries like Austria, Germany, France, Netherlands etc, remain worth buying. But these bonds markets do not have the same kind of liquidity (being able to sell or buy a bond quickly) that the American bond market has. The same stands true for Japanese government bonds as well. “The stock of Japanese bonds is massive, but the amount of those bonds that are actively traded is small,” writes Prasad. Also, there are not enough private sector securities being issued. Estimates made by the International Monetary Fund suggest that issuance of private sector securities globally fell from $3 trillion in 2007 to less than $750 billion in 2012. What has also not helped is the fact that things have changed in the United States as well. Before the crisis hit, bonds issued by the government sponsored enterprises Fannie Mae and Freddie Mac were considered as quasi government bonds. But after the financial mess these companies ended up in, they are no longer regarded as “equivalent to U.S. government debt in terms of safety”. This explains one part of the puzzle. The foreign investors always have the option of keeping the dollars in their own vaults and not investing them in the United States. But the fact that they are investing means that they have faith that the American government will repay the money it has borrowed. This “childlike faith of investors” goes against what history tells us. Most governments which end up with too much debt end up defaulting on it. Most countries which took part in the First World War and Second World War resorted to the printing press to pay off their huge debts. Between 1913 and 1950, inflation in France was greater than 13 percent per year, which means prices rose by a factor of 100. Germany had a rate of inflation of 17 percent, leading to prices rising by a factor of 300. The United States and Great Britain had a rate of inflation of around 3 percent per year. While that doesn’t sound much, even that led to prices rising by a factor of three1. The inflation ensured that the value of the outstanding debt fell to very low levels. John Mauldin, an investment manager, explained this technique in a column he wrote in early 2011. If the Federal Reserve of the United States, the American central bank, printed so much money that the monetary base would go up to 9 quadrillion (one followed by fifteen zeroes) US dollars. In comparison to this the debt of $13 trillion (as it was the point of time the column was written) would be small change or around 0.14 percent of the monetary base2. In fact, one of the rare occasions in history when a country did not default on its debt either by simply stopping to repay it or through inflation, was when Great Britain repaid its debt in the 19th century. The country had borrowed a lot to finance its war with the American revolutionaries and then the many wars with France in the Napoleonic era. The public debt of Great Britain was close to 100 percent of the GDP in the early 1770s. It rose to 200 percent of the GDP by the 1810s. It would take a century of budget surpluses run by the government for the level of debt to come down to a more manageable level of 30 percent of GDP. Budget surplus is a situation where the revenues of a government are greater than its expenditure3. The point being that countries more often than not default on their debt once it gets to unmanageable levels. But foreign investors in treasury bonds who now own around $5.95 trillion worth of treasury bonds, did not seem to believe so, at least during the period 2009-2012. Why was that the case? One reason stems from the fact nearly $4.97 trillion worth of treasury bonds are intra-governmental holdings. These are investments made by various arms of the government in treasury bonds. This primarily includes social security trust funds. Over and above this around $4.5 trillion worth of treasury bonds are held by pension funds, mutual funds, financial institutions, state and local governments and households. Nevertheless, the United States government may decide to default on the part of its outstanding debt owned by the foreigners. There are two reasons why it is unlikely to do this, the foreign investors felt. The United States government puts out a lot of data regarding the ownership of its treasury bonds. “But that information is based on surveys and other reporting tools, rather on registration of ownership or other direct tracking of bonds’ final ownership. The lack of definitive information about ultimate ownership of Treasury securities makes it technically very difficult for the U.S. government to selectively default on the portion of debt owned by foreigners,” writes Prasad. Over and above this, the U.S. government is not legally allowed to discriminate between investors. This explains to a large extent why foreign investors kept investing money in treasury bonds. But that changed in 2013. In 2013, the foreign countries bought only 19.6% of the treasury bonds sold in comparison to 43% they had bought between 2010 and 2012. Have foreign countries investing in treasury bonds come around to this conclusion? Or what happened in 2013, will be reversed in 2014? There are no easy answers to these questions. Sergei Glazyev, a close advisor to the Russian President Vladmir Putin, recently threatened that if the United States imposed sanctions on Russia, over what is happening in Ukraine, then Russia might be forced drop the dollar as a reserve currency. He also said that if the United States froze the bank accounts of Russian businesses, then Russia will recommend that all investors of US government bonds start selling them. How credible is this threat? Is Russia really in a position to drop dollar as a reserve currency? Or is any country in that position for that matter? Over and above this, another good data point to look at is the composition of the total foreign exchange reserves held by countries all over the world. The International Monetary Fund complies this data. The problem here is that a lot of countries declare only their total foreign exchange reserves without going into the composition of those reserves. Hence, the fund divides the foreign exchange data into allocated reserves and total reserves. Allocated reserves are reserves for countries which give the composition of their foreign exchange reserves and tell us exactly the various currencies they hold as a part of their foreign exchange reserves. We can take a look at the allocated reserves over a period of time and figure whether the composition of the foreign exchange reserves of countries around the world is changing. Are countries moving more and more of their reserves out of the dollar and into other currencies?Dollars formed 71% of the total allocable foreign exchange reserves in 1999, when the euro had just started functioning as a currency. Since then the proportion of foreign exchange reserves that countries hold in dollars has continued to fall. In fact in the third quarter of 2008 (around the time Lehman Brothers went bust) dollars formed around 64.5% of total allocable foreign exchange reserves. This kept falling and by the first quarter of 2010 it was at 61.8%. It has started rising since then and as of the first quarter of of 2013, dollars formed 62.4% of the total allocable foreign exchange reserves. Euro, which was seen as a challenger to the dollar has fizzled out because Europe is in a bigger financial and economic mess than the United States is in. Given this, there is no alternative to the dollar and hence, dollar continues to be at the heart of the international financial system. So where does that leave the Russian rouble and the recent threat that has made against the dollar? Here is the basic point. 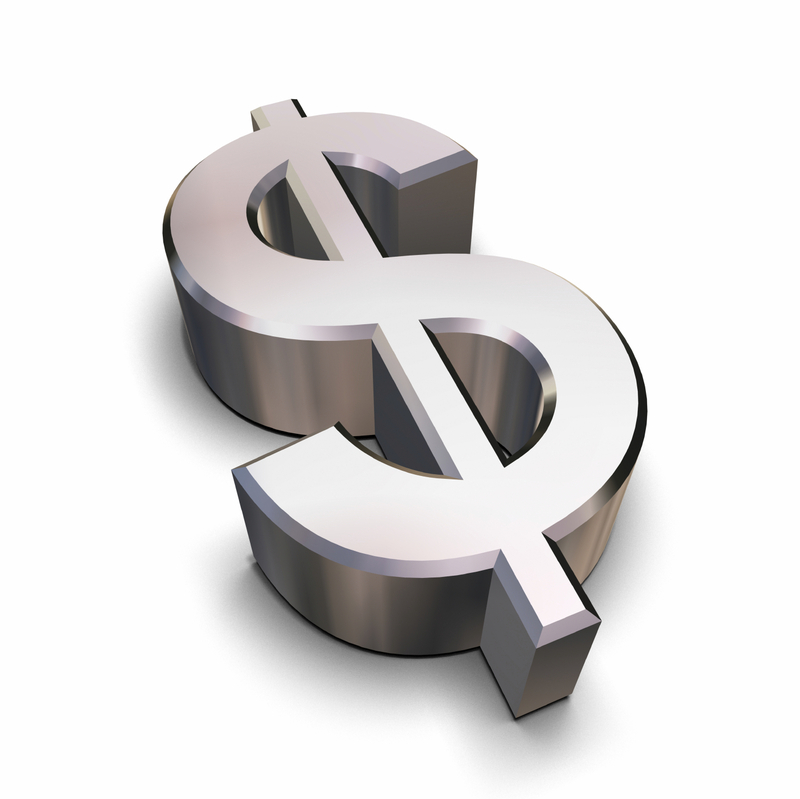 When the entire world has their reserves in dollars, they are going to continue to buy and sell things in dollars. So, when Russia exports stuff it will get paid in dollars, and when its imports stuff it will have to pay in dollars. And unless it earns dollars through exports, it won’t be able to pay for its imports. Any country looking to get away from the dollar is virtually destined for economic suicide. Russia can throw some weight around in its neighbourhood and look to move some of its international trade away from the dollar. The Russian company Gazprom, in which the Russian government has a controlling stake, is the largest extractor of natural gas in the world, being responsible for nearly 20% of the world’s supply. The gas that Gazprom sells in Russia is sold at a loss, a legacy of the communist days. But the company also provides gas to 25 European nations and this makes it very important in the scheme of global energy security. The company backed by the Russian state has been known to act whimsically in the past and shut down gas supplies during the peak of winter, which has led to major factory shutdowns in Eastern Europe. This is Russia’s way of trying to reassert the dominance the erstwhile Soviet Union used to have over the world, before it broke up. But even when Soviet Union was a superpower it could not trade internationally in dollars, all the time, because nobody wanted Russian roubles, everyone wanted the US dollar. The next step in the process is likely to be an effort to price the natural gas which Russia sells through Gazprom in Europe in terms of its own currency, the rouble. Vladamir Putin has spoken out against the dollar in the past, calling for dropping the dollar as an international reserve currency. This makes it highly likely that Russia might start selling its gas in terms of roubles. Countries which buy gas from Russia would need to start accumulating roubles as a part of their international reserves. Hence, there is a high chance of the rouble emerging as a regional reserve currency in Europe and thus undermine the importance of the dollar to some extent. Whether that happens remains to be seen. While the future of the Chinese yuan as an international reserve currency is very optimistic, it is highly unlikely that the yuan will replace the dollar as an international reserve in a hurry. For that to happen the Chinese government will have set the yuan free and allow the market forces to determine its value, which is not the case currently. The People’s Bank of China, the Chinese central bank, intervenes in the market regularly to ensure that the yuan does not appreciate in value against the dollar, which would mean a huge inconvenience for the exporters. An appreciating yuan will make Chinese exports uncompetitive and that is something that the Chinese government cannot afford to do. These are things that China is not yet ready for. Hence, even though yuan has a good chance of becoming an international reserve currency it is not going to happen anytime soon. Economist Andy Xie believes that “There is no alternative to the dollar as a trading currency in Asia.” He feels that the yuan will replace the dollar in Asia but it will take at least thirty to forty years. Meanwhile, the Russians can go and take a walk. 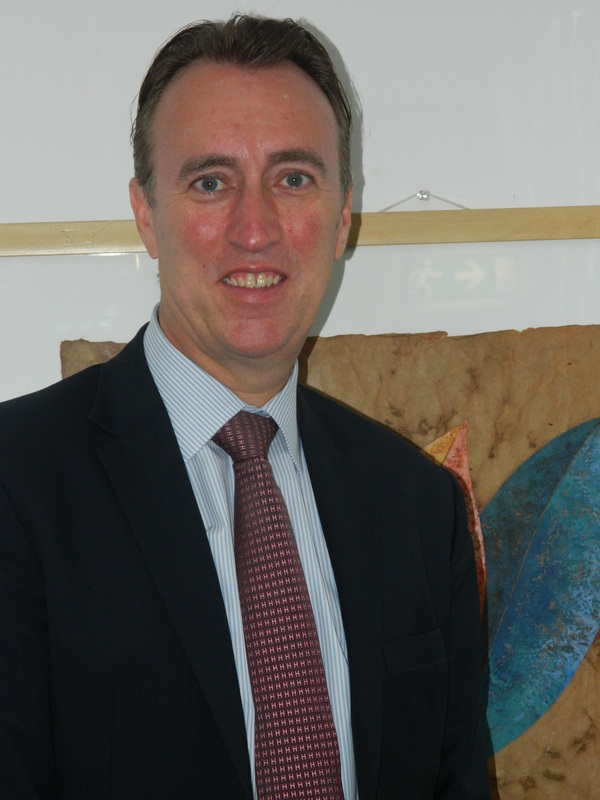 Gary Dugan is the CIO – Asia and Middle East, RBS Wealth Division. In this freewheeling interview with Vivek Kaul he talks about the recent currency crash in Asia, where the rupee is headed to in the days to come and why you would be lucky, if you are able to find a three BHK apartment, anywhere in one of the major cities of the world, for less than $100,000. What are your views on the current currency crash that is on in Asia? People are trying to characterise it as something like what has happened in the past. I think it is very different. It is different in the sense that we know that emerging markets in general have improved. Their financial systems are more stronger. The government policy has been more prudent and their exposure to overseas investors in general has been well controlled. I don’t think we are going to see a 12 month or a two year problem here. However, countries such as India and Indonesia have been caught out and the money flows have brought their currencies under pressure. So, it’s a problem but not a crisis. I totally disagree with that. The rating agencies have looked at the Indonesian banks and they have said that these banks are well-abled to weather the problems. If you look at India, the banking system is well-abled to weather the problems. It is not as if that there is a whole set of banks about to announce significant write down of assets or lending. The only thing could go wrong is what is happening in Syria. If the oil price goes to $150 per barrel then the whole world has got a problem. The emerging market countries would have an inflation problem and that would only create an exaggeration of what we are seeing at the moment. 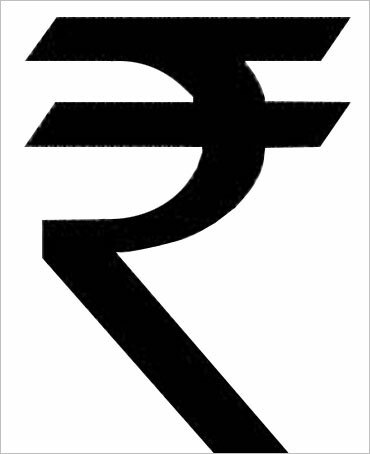 Where do you see the rupee going in the days to come? There is still going to be downward pressure. I said right at the beginning of the year, and I was a little bit tongue in cheek when I said that in theory the rupee could fall to 72. At 72 to a dollar, in theory, clears the current account deficit. I never expected it to get anywhere near that, certainly in a short period of time. But some good comes out of the very substantial adjustments, because pressure on the current account starts to disappear. Already the data is reflecting that. Where the rupee should be in the longer term is a very difficult question to answer. (Laughs) I challenged our foreign exchange market experts on this and asked them what is the fair value for the rupee? I ran some numbers on the hotel prices in Mumbai, relative to other big cities, and not just New York and London, but places like Istanbul as well. India, is the cheapest place among these cities. Like the Economist’s McDonald Index, I did a hotel index, and on that you could argue that the rupee should be 20-30% higher. But, if you look at the price that you have got to pay to sort out your economic problems, it is probably that the currency is going to be closer to 70 than 60 for the balance of this year. It takes a while. I was actually talking to a client in Hong Kong last week and he said that warehouses in India have been emptied of flat screen TVs, and they have all been sent to Dubai because they are 20% cheaper now. It is a simple story of how the market reacts to a falling currency. Of course. A part of the problem that India has is that the economic model has more been based on the service sector rather than manufacturing. The amount of manufactured products that become cheaper immediately and everyone says that I need more Indian products rather than Chinese products or Vietnamese products, is probably insufficient in number to give a sharp rebound immediately. Where you may see a change, even though some of the call centre managers are a little sceptical about it, is that call centres which had lost their competitive edge because of very substantial wage growth in India, will immediately get a good kicker again. It would certainly be helpful, but I would say that it normally takes three to six months to see the maximum benefit of the currency adjustment. What are the views on the stock market? I am just a bit sceptical that you are going to see much performance before the elections. I always say it is a relative game rather than absolute one. If all markets are doing well, then India with its adjustment will do fine. Within the BRIC countries, India falls at the bottom of the pack, in terms of relative attractiveness, just because there is a more dynamic story for some of the other countries at the moment. It is definitely a reason to worry. It’s not something I have looked at in detail. But as you were asking the question, I was just thinking that people are dragging all sorts of bad stories out. When there were bad stories before, people were just finding their way through it. And India has a wonderful way of working its way through its problems and has been doing that for many many years. Remember that these problems come to the head only if the banks call them to account. I think there will be a re-negotiation. It is not as if a very substantial part of Indian history is about to go under because someone is going to pull the plug on them. It is. You look at the stories from the past five years, and the waning strength of the service sector in India, in th international markets, comes out. A good example is that of call centres that have gone back to the middle of the United States from India. A part of that came through currency adjustment. You can say that maybe the rupee was overvalued at the time when this crisis hit. But it is true, in a sense, that India has got to back-fill a stronger manufacturing industry and it has got to reinforce its competitive edge in the service sector. What is holding back the Indian service sector? A number of structural things. I talked to some service sector companies at the beginning of the year. And one of things I was told was that I have got all my workers sitting here in this call centre, but now they cannot afford to live within two hours of commuting distance. Why did that happen? That is not about service sector. It is about the broad infrastructure and putting people at home, close to where they work. There are lot of problems to be solved. There has been talk about the Federal Reserve going slow on money printing(or tapering as it is called) in the days to come. How do you see that going? Everyone has got to understand that the principle of quantitative easing is to generate growth. So, if there is enough growth around they will keep tapering, even if they get it wrong by starting to taper too early. They will stop tapering if growth is slow. Secondly, number of Federal Reserve governors are worried about imprudent actions of consumers and industrialists, in terms of taking cheap money and spending it on things that they typically do not need to spend on. A good example is speculation in the housing market, something which created the problem in the first place. So they want to choke such bad behaviours. They will probably start tapering in September in a small way. The only thing that may stop it from happening is if the middle Eastern situation blows up. The US didn’t think it was going to get involved a few weeks ago. Now it is. That’s been very typical of the United States for the last 100 years. Evertime there is a problem you ask people to use their credit cards. Or use some form of credit. And when there is an economic slowdown because of the problems of non performing loans, then you get the credit card out again. So, yeah unfortunately that is the way it is. Why is there this tendency to go back to the same thing that causes the problem, over and over again? It is the quickest fix. And you hope that you are going to bring about structural changes during the course of a better economic cycle. So people don’t bring the heavyweight policies in place until they have got the economy going again and sadly the only way you can get the economy going again is to just to make credit cheap and encourage people to borrow. Inflation targeting by central banks has come in for criticism lately. The point is that because a central bank works with a certain inflation target in mind, it ends up encouraging bubbles by keeping interest rates too low for too long. What is your view on that? These concepts were brought in when central banks thought they could control inflation. If you look at one country that dominates the world at the moment in terms of product prices and in terms of the inflation rate, it is China. Your monetary policy isn’t going to change the behaviours of China. And some of the flairs up in inflation have been as a consequence of China and therefore monetary policies have no impact. 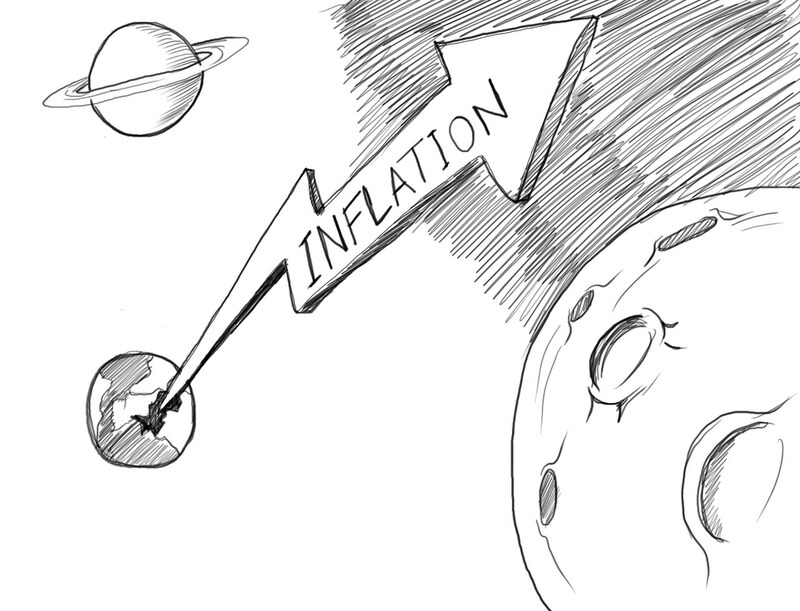 Secondly, the idea of controlling inflation, the concept worked for the 20 years of the bull market. Then we got inflation which was too low. So we have changed it all around to actually try to create inflation rather than to dampen inflation. I don’t think they know what tools they should be using. The central banks are using the same tools they used to dampen inflation, in a reverse way, in order to create it. For nearly two to three hundred years, the world had no inflation, yet the world was kind of an alright place. We had an industrial revolution and we still had negative price increases, but that did not stop people from getting wealthy. Chapter one of the economic text book is that if you create a lot of money, you have got a problem. Chapter two is that there is actually another dimension to this and that is the velocity of money. If you have lots of money and if it happens to go around the world very very slowly it doesn’t have any impact. And that has been the point. The amount of money has gone up considerably but the velocity of money has come down. To date, again in the western world, there is little sign of the velocity improving. We are seeing this in the lending numbers. Even if banks have the appetite for lending money, nobody wants to borrow. Someone’s aged 55, and the job prospects are no wage growth, and the pension is tiny, I am not sure that even if you have gave him ten credit cards, he’ll go and use any of one of them. And that is the kind of thing that is happening in Europe and to some extent in the United States. The only money going into housing at the moment is the money coming from the institutional market, as they speculate. If you look at students coming out of college in the United States, they have come out way down with debt. There is again no way that they are going to go and take more loans from the bank because they have already done that in order to fund their education. So I do not seeturnover of money in the Western world. There may be no inflation in everyday life but if you look at asset inflation, it has been huge.. That’s right. People just find stores of value. Gold went up as much as it did, in its last wave. If you look at Sotheby’s and Christie’s, in the art market, they are doing extremely well. The same is true about the property market. Places which are in the middle of a jungle in Africa, there prices have gone up to $100,000 an acre. Why? There is no communication. No power lines. It is just because people have money and are seeking out assets to save that money. Also, there has been cash.If you go to Dubai, 80% of the house purchases there, are in cash. So you don’t need the banks. Can you tell us a little more on the Africa point you just made? I did laugh when Rwanda came to Singapore to raise money for its first ever bond issue and people were just discovering these new bond markets to invest purely because they did not know what to do with their money. So someone said that I am building, you know in a Rwanda or a Nigeria, and people just ran with their cash, buying properties and buying up land wherever the policies of the government allowed. Sri Lanka again just closed the door on foreign investors because you start to get social problems as the local community cannot afford properties to live in. It was amazing how commercial many of these property markets became, even though in the past they were totally undiscovered. And as we have seen with many of them, you take considerable risk with the legal system. The world has got repriced. I always say that if you can find a three bedroom house below a $100,000-$150,000 in a major city, you are doing well anywhere in the world today. In Mumbai you won’t find it even for that price.. Yes, though five years ago it was true. It is impossible now.